Organiser's Comments: A huge thank you to all who came along and competed at Broxburn today. We hope you enjoyed your courses and that the missing/moving control 114 on the Chase didn't spoil your enjoyment if you were affected by this (courses 1,2 and 4). Points are not affected as only the Prologue attracted SOUL and British Orienteering ranking points. It was a difficult decision whether to void the legs involved or allow control 114 to be 'optional' i.e. not disqualify anyone who didn't punch it. The final decision is that the relevant legs are voided for the ESOC Sprint O as this is felt to be fairest for most competitors. We decided however to publish both sets of results so that you can see the differences. Having analysed the overall results there are fewer differences than might have been expected. On the course results a small number of competitors swap a single place and on the class results only 2 competitors on the Men's Open swap a place. The differences in overall times are mostly very small which perhaps reflects the fact that most competitors were confident enough to keep going when the control wasn't where it should have been. After some challenging weather for the first SOUL of 2018 we fervently hoped for reasonable weather and were very lucky that the forecast was pretty good for February and the weather on the day matched the forecast. As ever, an army of ESOC volunteers worked exceptionally hard on the day to put on this 2-race event. A big thank you to all our volunteers and to Planner, Katy Lessells and Controller, Ted Finch (FVO) for all their hard work. START TIMES are on Fabian4. THE COMPETITION: The ESOC Sprint-O is a two-race competition. Your time from the first race, the Prologue, determines your starting position for the second race, the Chase. The first past the post in the Chase wins the competition. 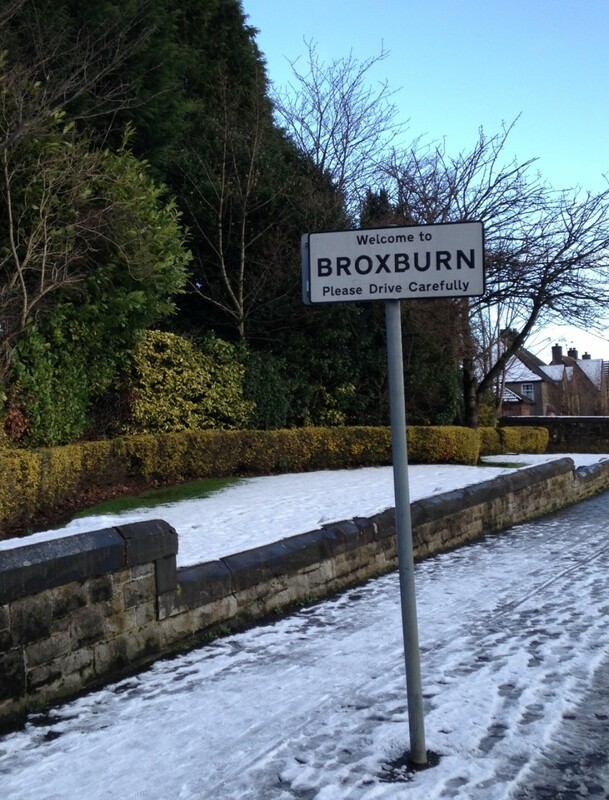 MAP: Broxburn and Uphall is a newly mapped area. This will be the first orienteering competition to be held there based on this new map. Both races will be linked to the same event centre although not necessarily on the same part(s) of the area. SOUL AND BRITISH ORIENTEERING RANKING POINTS: This competition will incorporate SOUL 2 (Scottish Orienteering Urban League race 2). SOUL points and British Orienteering ranking points will be awarded for competitors' times from the first race (Prologue) only. Note however that it is a single entry for both races. EVENT CENTRE: The event will be centred on the Strathbrock Partnership Centre, 189a, West Main Street, Broxburn, EH52 5LH. We have a small room and use of toilets in the centre. Use ENTRANCE DOOR B only. Please note that the room we have is small and can really only accommodate Registration, Download and Results. We are unable to provide changing or bag drop facilities in the room apart from for those competitors coming by bike or bus. TOILETS: We have use of a group of toilets in the Strathbrock Partnership Centre. OTHER USERS OF EVENT CENTRE: There will be other groups using the centre at the same time as we are there though this should be mostly in the morning. These include church groups. Please respect their right to be there and potentially to use the same facilities. FOOTWEAR: Please take off any very dirty, muddy or studded footwear before entering the main building. TERRAIN: Urban housing, some parkland, riverside paths and open ground. Paths, tracks and grassy areas could be muddy. SAFETY: The Brox Burn and the Union Canal all run through the competition area. These should only be crossed at bridges. Juniors should be advised that there are paths and tracks alongside waterways which may figure on their courses. A899 runs through the towns and this (and roads in the town) will have the usual Sunday morning traffic. Competitors should take the same precautions when crossing roads that they would take if not competing. MEDICAL CONDITIONS: If you, or anyone in your group (including juniors), have a medical condition that first aiders or health professionals should know about in the event of accident or illness during the course of the event please print off the Medical Form, fully complete it and bring it along to the event. You should complete a separate copy for each individual who has a medical condition. Please leave the completed Medical Form at Event Registration. It will be put in a sealed envelope and only be opened in an emergency. It will be destroyed immediately after the event. If you prefer, you can bring your completed form in a sealed envelope with your name (or the relevant person's name) on the front and hand it in when you arrive. Parking is in the car park at the Strathbrock Partnership Centre, 189A West Main Street, Broxburn, EH52 5LH. This is a just off the main A899 which is the main road through Broxburn and Uphall. The Centre is signed at a set of traffic lights on the A899. The centre is on the South side of the A899 and the traffic lights are a short distance East of the Police Station and West of the Fire Station. You are turning into a dead end road (for traffic). Turn right from this road into the car park and head straight ahead and park anywhere on the right. The public area of the car park has no barrier though you will see a controlled entry car park to your left as you enter the car park. We are using Entrance B which is towards the far end of the car park (West end) - effectively behind the Police Station. REGISTRATION: 9.30am to 10.15am in the Strathbrock Partnership Centre as above. Use Entrance Door B and follow signs. PROLOGUE START: 10.30am to approx 11.15am. CHASE START: Race time from Prologue added to 1.15pm. This is a two-race competition but see above for points for SOUL and British Orienteering. Both races will be 'sprints'. Competitors should enter their age class course. If you don't want to enter your age class for any reason you are welcome to enter and run any course none competetively. Terrain - urban housing, some parkland, riverside paths and open ground. Very little climb. Pre-entry now closed. Start Times for those who entered before midnight Sunday 28th are shown on Fabian4 Start times for entries made between Sunday night and Midnight Thursday will be added as soon as possible. Limited entry on the day (EOD) - fees shown below. SI Air (SIAC) will be used and these will be available via the pre-entry system for hire. Sportident (SI) electronic timing will be used. £2.50 SIAC (touch free SI) hire, if required, but £60.00 charge if lost. SIAC (touch free SI) hire is limited to the first 50 participants requesting this option. Free SIcard (punching) hire, if required, but £30.00 charge if lost.